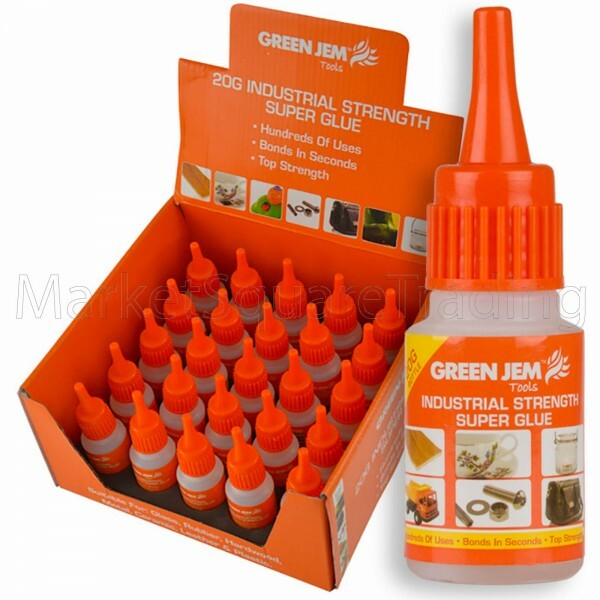 Stronger and thicker than ordinary super glue Rapid set Bonds, - Metal - Wood - Leather - Porcelain and most Plastics. Green Jem super strength super glue is perfect for many household and work repairs. 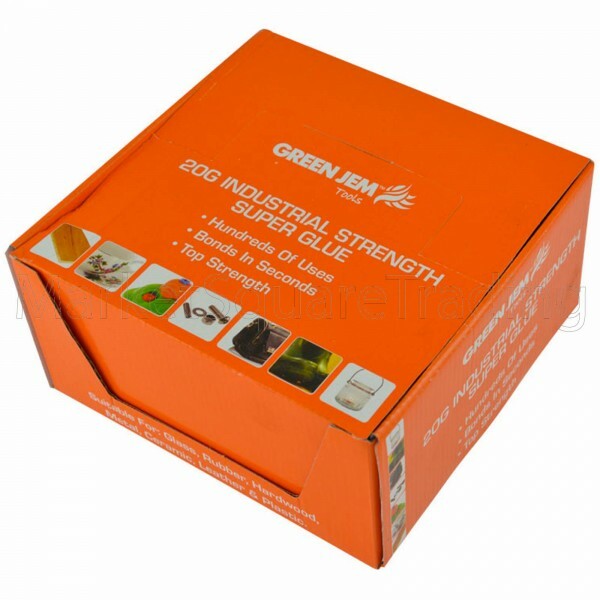 The adhesive is industrial strength and stronger than your ordinary thin runny super glues. It's an absolute must have in the draw for either the home,work or the office. 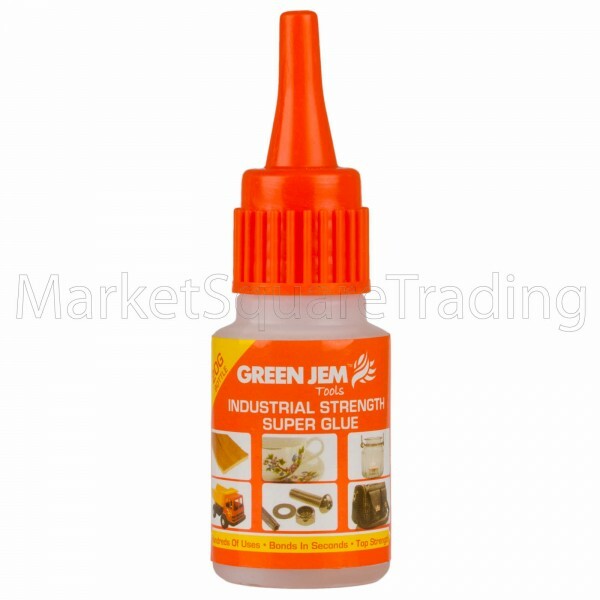 Ideal for the window fitting trade, fishing clubs or art and craft classes. 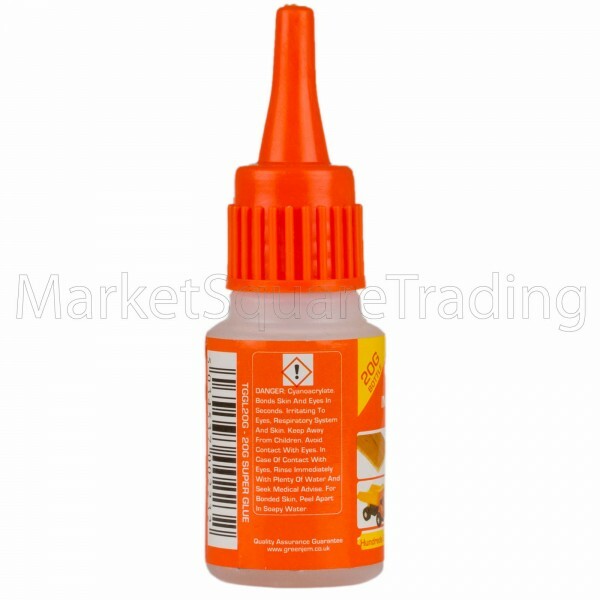 I myself have used this on many occasions.Please note that if you are using this glue in cold conditions ie outside in the winter months, It will take longer to set. 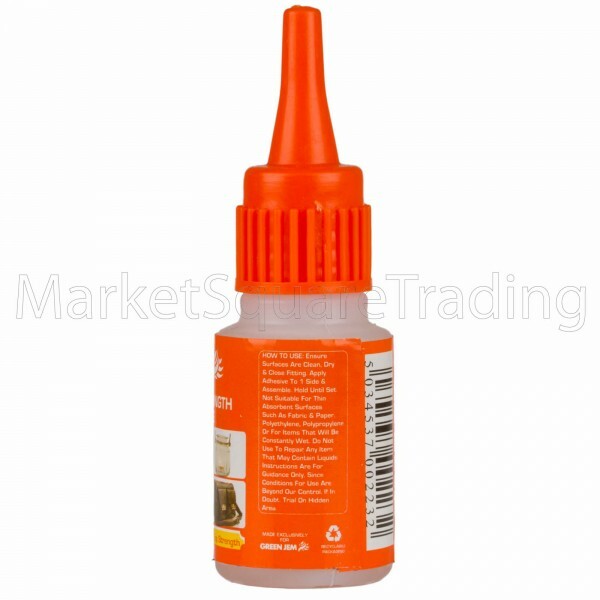 I have found using a hair dry to warm it gently works a treat in the cold conditions.